Beginning readers will discover that the milk we drink comes mainly from cows, as well as other fun facts about these animals. 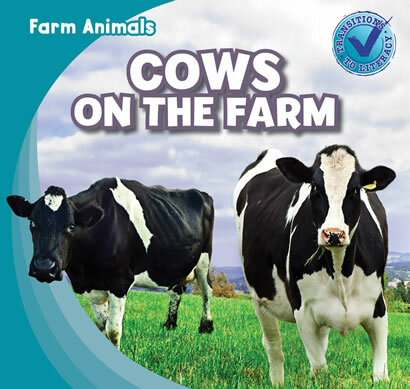 Engaging and accessible text describes what life is like for cows on a farm as well as why cows are important to people. A picture glossary is included to help readers build strong vocabularies. Colorful photographs show a variety of farm cows, including small calves and spotted dairy cows.